In a stunning admission from River City Company (“RCC”), it has acknowledged that County Commissioner Joe Graham is not “independent” as he serves on the River City Company Board and also sits as a County Commissioner in evaluating projects that RCC brings to the Commission to approve. In layman’s terms, County Commissioner Joe Graham, City Councilman Chip Henderson, County Mayor Jim Coppinger and City Mayor Andy Berke, are subject to a “conflict of interest” as they sit on the board of RCC while at the same time they cast votes or attempt to influence RCC projects that might come before their respective legislative bodies. But let’s back up just a bit to find out how it is that RCC came to this admission, perhaps unwillingly. But does it even matter that these elected officials are not independent and that there is a conflict of interest? Does it matter that they sit and cast votes on RCC’s board and at the same time also cast votes as elected officials for RCC projects or attempt to influence their colleagues to approve these projects that come before their respective legislative bodies? To answer these questions let’s go back to a meeting at the Hamilton County Commission on February 18. Prior to the meeting I privately asked Commissioner Graham, who is one of the four “non-independent” board members of RCC, to recuse himself from the vote that day because he was not “independent.” When he informed me he would not, I then called on Commissioner Joe Graham to recuse himself during the public comment period of the meeting. I reminded Graham that, because he sat on RCC’s Board and he also was already on record that he would cast a vote as a county commissioner in favor of granting a $1 million tax break to a wealthy developer, that this gave the appearance of a conflict of interest. Of course, we now have confirmation that Graham is not independent according to RCC and reported to the IRS. Since the $1 million tax break that was approved on February 18, Commissioner Graham as well as Councilman Henderson have both gone on to grant an additional $500,000 tax break to another wealthy developer, former Mayor Jon Kinsey, who is also a former RCC Board member himself. Additionally, Kinsey’s partner, Ken Hays, was previously the President of RCC. Both these men are now beneficiaries of a $500,000 “gift” from city and county taxpayers, courtesy of Commissioner Joe Graham and Councilman Chip Henderson, along with their colleagues and two Mayors who strongly supported and lobbied for Kinsey’s project — the Chattanooga Choo Choo. Even though RCC’s tax return reports to the IRS that these elected officials are NOT independent, we are asked to believe Commissioner Joe Graham when he continues to assert he is independent. Really? It should be noted that all RCC board members are provided a copy of Form 990 each year and they must each affirm to RCC that the information on the Form 990 is accurate. So, on the one hand RCC Board member Joe Graham affirms via Form 990 (reported to the IRS) that he is NOT independent. But when citizens call on Commissioner Joe Graham to acknowledge that lack of independence and recuse himself, the Commissioner denies what is declared on Form 990. So are we seeing duplicity, a double standard, naiveté or something worse? You decide. Commissioner Graham cannot have it both ways. So I once again call on him, as well as the other elected officials who serve on the RCC Board to recuse themselves from voting on all RCC projects. In addition they should refrain from attempting to influence their colleagues in a manner that would appear to benefit River City Company — the company on whose Board they serve. It’s your turn Commissioner Graham. 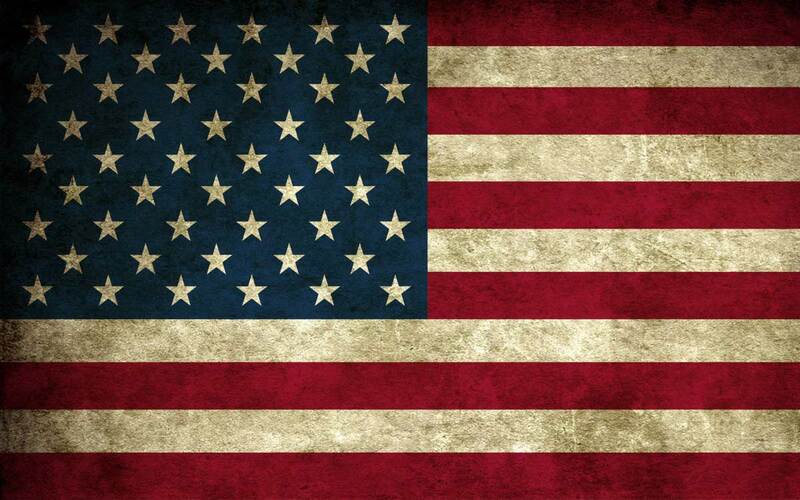 Will you do the right thing now? 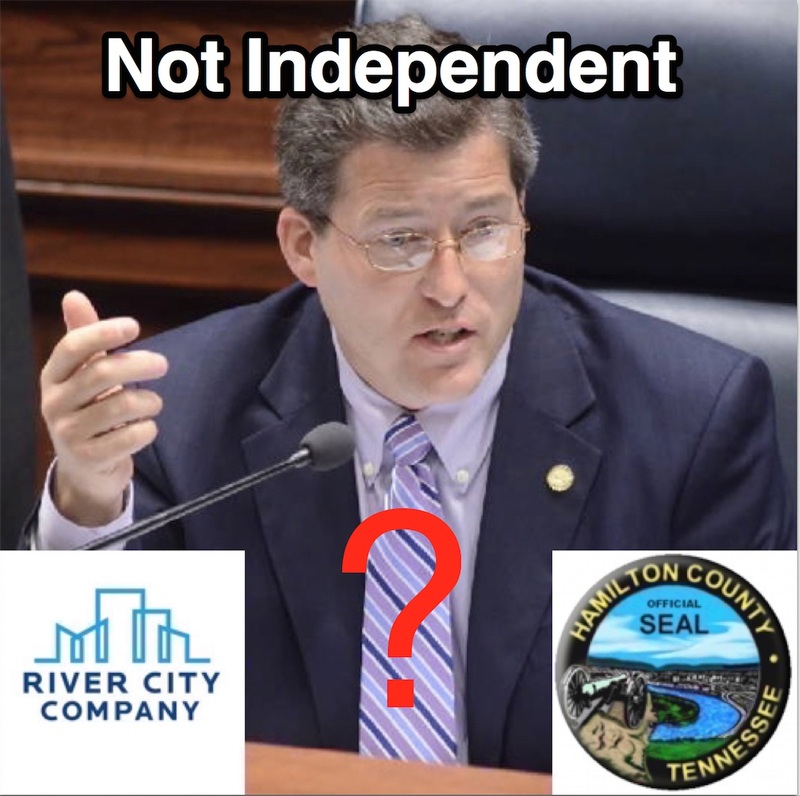 Or will you continue to feign “independence” to the benefit of River City Company but to the significant cost to Hamilton County taxpayers, to whom you owe your allegiance as an elected official? This entry was posted in Chattanooga, Crony Capitalism, Hamilton County, PILOT, Taxes by Mark West. Bookmark the permalink.